Purchase of this book goes to support the work of City Union Mission. 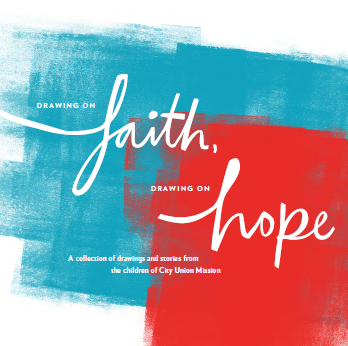 Since 1924, City Union Mission has been caring for Kansas City’s downtrodden and disadvantaged. In 2012—as we continued to respond to the tragic number of homeless or near-homeless families that has been growing in our community for decades—we embarked on an initiative to shine a light on the youngest members of this vulnerable group . . . the children. We asked boys and girls in the Mission’s Family Shelter, Vanderberg Youth Center and Camp CUMCITO to draw pictures and describe what homelessness or other personal circumstances look like and feel like to them. We knew that giving children the opportunity to express their feelings and share their perspectives would not only bless the youngsters themselves, it would also open the eyes of our community to the true impact that homelessness, poverty and the resulting consequences have on young lives. The result of this two-year project is a moving and inspiring compilation of words and art, direct from the hearts of children who are brave, thoughtful, sad, funny and filled with insight beyond their years.